We know that SEO is useful for ensuring high ranking of the web sites on the search engines. But, often we ignore the necessity of URLs and its optimization. Most people are not aware of its importance and do not use keywords in it. URLs are as essential for the ranking as the content and the web pages. If used correctly they can increase your search engine ranking by several folds. There are some rules that one should keep in mind while working with URLs. Make sure that the URLs are focused and do not have any extra and unnecessary words like ‘of’ and ‘a’. These do not add any value whatsoever to the SEO your URL. It is also a good idea to remove the verbs from them. Some people may think that lengthy URLs are a good way to raise the ranking of the web site. This is not true. You should make them as short as possible in order to get the best results. Shorter lengths will make the URLs more focused and it will be easier for the SEO to rank it on the search engines. Making a logical structure is also a good idea. Never use underscores in the URLs. They tend to join the words together and show them as one. If you have to use, use dashes as they are a better option. Different kinds of web sites require different kinds of URLs and you must be particular about the type of site you are using it. Even if your company has a big web site with a large number of pages, it is a good idea to keep the URLs as short as possible. This will be useful for all the contact information that the company may have. E.g. : company.com/about-us/. For the blog sites there are different ways in which you can construct your URLs. You can choose to focus on the title of the blog and the URL can look like ‘blog.com/post-title/’. If you write on different topics you can focus on the category as it will further show what the topic of the blog exactly is. E.g. : blog.com/category-name/post-title/. If yours is a news site or you update it on a daily basis, you can create in the format ‘blog.com/mm/dd/yyyy/post-title/’. If you have a web shop such as an ecommerce store, there are two ways in which you can create the URLs. It is entirely up to you to decide how you want to help the visitors to go around the site. If you include the categories the customers will find it easier to find the products that you are looking for. The extra details will remind your visitors where they exactly are on your web site and where they can find certain things that they are looking for. 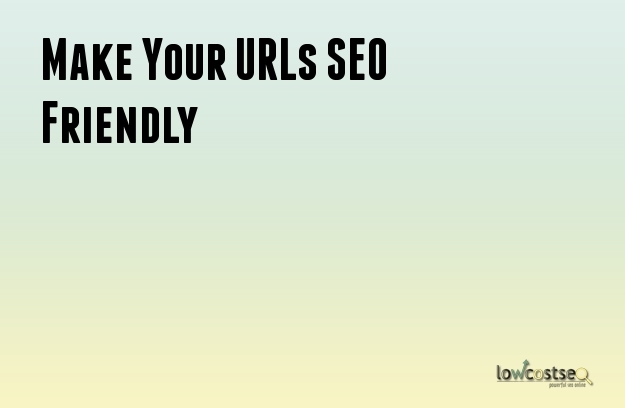 These tips for creating SEO friendly URLs are very effective. You can use it and see the difference for yourself in your web site traffic.